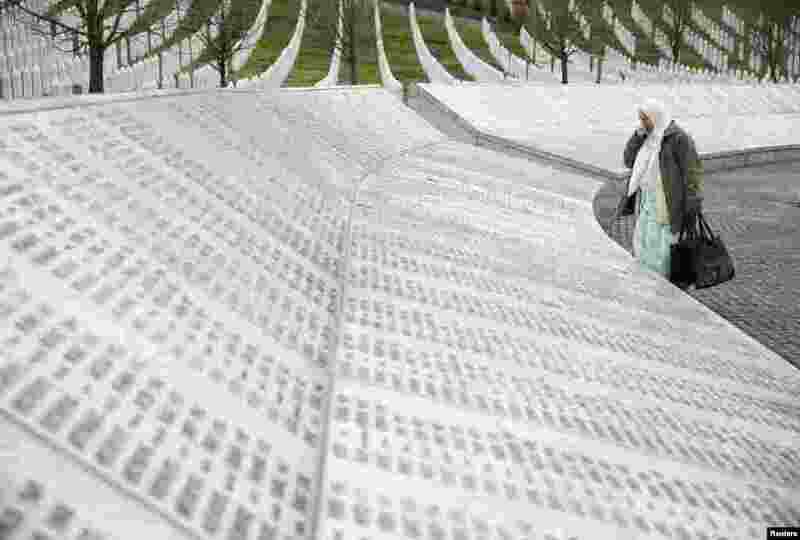 1 A woman stands near a grave of her family members in the memorial center Potocari before a judge announces the verdict on former Bosnian Serb political leader Radovan Karadzic's appeal of his 40-year sentence for war crimes, near Srebrenica, Bosnia and Herzegovina. 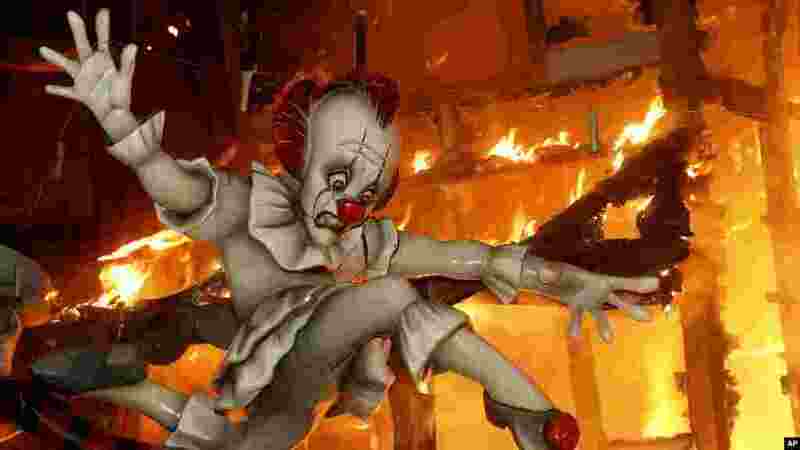 2 A huge "ninot" structure burns during the traditional Las Fallas festival in Valencia, Spain. 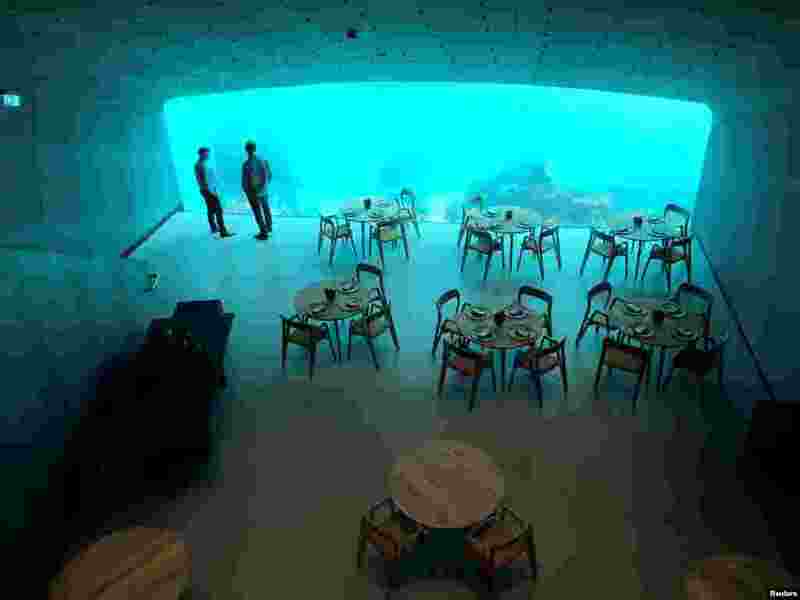 3 An inside view of the underwater restaurant Under in Baaly, Norway, March 19, 2019. 4 A woman walks along stairs that shows the sign of the fair ahead of the Leipzig International Book Fair in Leipzig, Germany.